At the end of the week, we resume everything that the cryptocommunity talked about over the past seven days. This week Vitalik Buterin has been awarded an honorary doctorate by the University of Basel, the profile of Satoshi Nakamoto was updated in the P2P Foundation blog, and the developers of Tether launched verification for new users. According to Winnie Lingham, CEO of Civic startup, the main digital currency Bitcoin will trade at up to $ 5,000 over the next three to six months. Now is the time to take advantage of low prices for cryptocurrencies and resume purchases of ether. So says famous in Silicon Valley financier Fred Wilson. Phillip Nunn, head of the Wealth Chain Group and the Blackmore Group, advises not to sell bitcoins, predicting the “best times” in 2019. 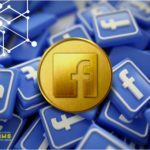 The founder of Morgan Creek Digital, Anthony Pompiano, believes that Bitcoin will lose another 20% in value, after which growth will begin. According to Pompiano, the bear market is far from over. Allianz Chief Economic Adviser Mohamed El-Erian said that cryptocurrency will become more “common”, but as part of a wider ecosystem. Fundstrat co-founder Tom Lee called the current market downturn “golden time” for cryptocurrencies. 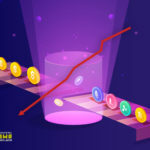 In the updated rating of cryptocurrencies conducted by the Chinese Center for Information and Industry Development, Bitcoin was able to strengthen its position and climb a few points. However, leadership in the ranking is still allotted to EOS digital currencies and broadcast. Google Trends charts show that the volume of requests with the term “bitcoin” has grown by about 17% compared to the third week of December 2017 - that week the bitcoin reached its historical maximum of $ 20,000. 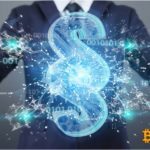 During November, blockchain startups dramatically increased the withdrawal of funds in their cryptocurrency from their reserves. This is stated in the latest study of the company Diar and states that over the last month of autumn the companies sold 170,000 ETN coins. The new security bulletin of Kaspersky Lab states that botnets are increasingly being used to distribute illegal software with the functions of illegal mining of cryptocurrencies. Also, analysts predict a fall in interest in the blockchain. According to research conducted by Diar company, in November, cryptocurrency trading volumes on the main exchanges fell to a minimum. In the latest study, company analysts studied the dynamics of trading on the Binance, OKex, Huobi, Bitfinex, Kraken, Poloniex, Bittrex and HitBTC exchanges and concluded that at the end of 2018, trade figures were significantly lower than the January data. After in January of this year, the Japanese cryptocurrency exchange Coincheck fell victim to a robbery, having lost $ 553 million, it restored all the cryptocurrencies included in the listing on its platform. Bitstamp decided to upgrade its technological arsenal in order to attract institutional investors. On November 27, the exchange announced that it was launching the Irisium Surveillance platform designed to monitor suspicious activity and market manipulation. Exchange Coinbase Pro has added Zcash to platform listing. Kelly Löffler, head of Bakkt, said that it did not focus on price, because there was a need for infrastructure development, and the launch of Bakkt was postponed in part because "the system was overflowed with customers." One of the largest trading platforms, Nasdaq, is preparing to launch Bitcoin futures. Fidelity Investments wants to expand its institutional cryptocurrency platform, including another 5-7 leading market capitalization cryptocurrencies. Investment company Goldman Sachs is not yet ready to provide one of the main services required by institutional clients interested in cryptocurrency, despite a significant decline in their prices in 2018. Coinbase will launch an over-the-counter platform for institutional investors. Thus, starting with the launch of the trading platform for institutional clients of Coinbase Prime and the investment platform of Coinbase Custody, the US main cryptocurrency platform prepares a full range of services for institutional investors. The updated version of the draft law “On digital financial assets” has been amended again. This time, the authors removed from the document a provision on the regulation of relations in the mining sphere. Experts of the Council for the Codification and Improvement of Civil Legislation under the President of the Russian Federation called on State Duma deputies to change the draft law “On digital financial assets”. The High Technologies Park of Belarus finally regulated cryptocurrencies. However, as we reported earlier, since March of this year, when the decree “On the digital economy” came into force, there has not been a single real step towards Belarus being able to become a “new Malta”. 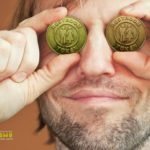 Estonia, one of the most European-friendly cryptocurrency countries, intends to tighten the licensing regime for companies in this sector. The financial regulators of Tallinn want to establish more stringent rules and regulations for the operation of the fintech business. Ohio companies will be able to pay their Bitcoin taxes. This is the first state in the United States to officially accept cryptocurrency. The Financial Services Authority of the United Kingdom (FCA) checks cryptocurrency companies for the legality of their operations. Currently, FCA is studying the activities of 50 firms “suspected” of providing financial services without the permission of the regulator. LabCFTC, the Commodity Futures Trading Technology (CFTC) research department, one of the two main US financial regulators, has published a manual on smart contracts. Since mid-November, from 600 thousand to 800 thousand mining farms shut down in China. This was announced by Mao Shixing, the head of the third-largest Chinese mining pool F2pool. According to him, the reason is the price decline and decrease in network hashrate. According to the results of the monitoring, the results of the Yula ad service, the Russians began to actively post messages on the sale of mining equipment on the site. Canaan Creative, a mining equipment company for bitcoin, announced that it temporarily reduces the prices of all its miners. After the Norwegian authorities have deprived local miners of electricity concessions (since January 2019), Swedish data centers expect a stream of applications from Norwegian miners. Paraguayan authorities have approved a plan to build a cryptocurrency mining center in the country, which will become the largest mining enterprise in the world. Cyprus dropped the charges against programmer Alexander Vinnik of fraud, money laundering and other crimes. This was told to journalists by the head of the Vinnik lawyers group, Timofey Musatov. Floyd Mayweather will pay more than $ 600,000 for the illegal promotion of ICO. SEC blamed professional boxer and music producer DJ Khaled for failing to disclose that they had received a reward for promoting ICO. The mining company Bitmain filed a class action lawsuit in Northern California, which was initiated by a Bitcoin miner named Gor Gevorgyan. A client of the company accuses her of cryptodoping of its clients using recently acquired ASIC miners at Bitmain. A hacker or a group of hackers managed to embed a tool for the theft of bitcoins into a popular code library. Software has been downloaded 2 million times; according to the Fortune edition, 500 large companies and small startups took advantage of it. A 39-year-old resident of Kaliningrad was the victim of a fraudster who sold him non-existent video cards for mining. © 2018 bit.news | queries 232, for 0.440 sec.